Finally, a change from rigid nursecall systems! For too long, nursecall systems have been too rigid and structured providing both residents and staff the ability to only raise a call manually. With increasing numbers of dementia residents who simply do not remember to raise a call in this way, and heavily dependent residents requiring regular staff attendance for medication or bed turning, a fundamental change was required. Encompass eZone, due for release in May 2017, provides an innovative solution using locator beacons in all rooms in conjunction with staff and resident pendants to trigger automated alarms which are personalised to suit each resident’s individual care plan. Additionally, the eZone system can be wired or wireless allowing retrofit to an existing building. Wandering into areas of risk. If a resident’s pendant hasn’t had interaction from a staff member’s pendant for longer than a pre-set period an automated alarm is raised to ‘force’ staff interaction. If a resident has been in the same room for longer than a pre-set period during day time hours. If two residents known to have potential conflict enter the same area. If a resident enters any other bedroom than their own. Medical reminders as well as food and fluid intake checks. Each pendant has an integral fall alarm and will provide an immediate alarm. Nursecall systems have historically also been too heavily reliant on staff members taking away from their main purpose of providing care to residents. The locator pendant system also means staff intervention is heavily reduced. When a staff member responds to a live call on the system they are automatically logged in and out of a room for standard calls, no interaction with the nursecall system is required by a staff member unless they want to raise a higher call level. This information can be used by managers to assess the true time a staff member spends with every resident which can easily be relayed to family members as a re-assurance tool. 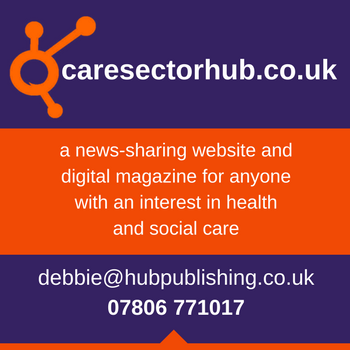 It is also possible, if it is deemed appropriate by the care group, to allow family members remote access to their family members pendant/activity reports to provide comfort that they are being interacted with and have regular movement throughout the home. Automated reporting of key criteria can be enabled for any of the above activities and distributed to relevant staff or management at the beginning or end of a shift. Encompass eZone has all the standard features of a nursecall system plus much needed resident adaptable automated alarms with the additional potential benefit of being wired or wireless, all for a similar price to a traditional system. 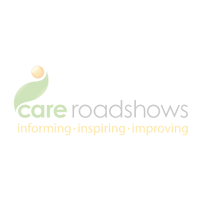 Safety Systems Distribution, the appointed UK distributor of Encompass eZone are attending the upcoming 5 Care Roadshows in: Glasgow, Liverpool, Birmingham, Cardiff and London and would welcome the opportunity to discuss eZone in more detail with you.